100% Suitable for any outdoor stage. The Shortwave Infrared Heating is the NOVELTY OF THIS CAMPAIGN. It comes to complete the IR Radiant catalog to offer you the solution that best suits your needs. The heaters hardly require installation, and they stand out for providing heat from the moment they are turned on. In addition, they have a robust and elegant design, with a high degree of protection IP 5.5. For all these reasons, they can be integrated into all types of environments, since they perfectly support the rain without deteriorating. In our extensive catalog, we have models from 1000 W to 18,000 W, both single-phase (230V) and three-phase (380V). This allows us to heat from a small bar terrace to a football field. Also difficult spaces, with up to 10 meters of height. The infrared heating of Shortwave is ideal for heating large spaces such as dining rooms or outdoor terraces, factories, industrial buildings, concert halls, stadiums, sports halls, churches, gyms, etc. 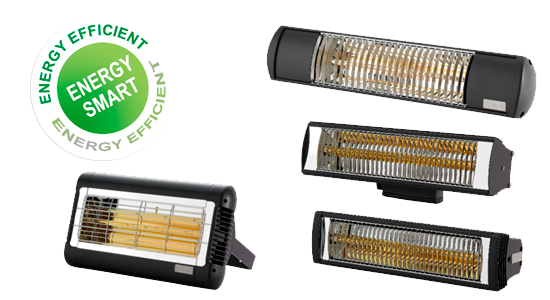 All IR Radiant Shortwave heaters are robust and resistant and have a high degree of protection IP 5.5. 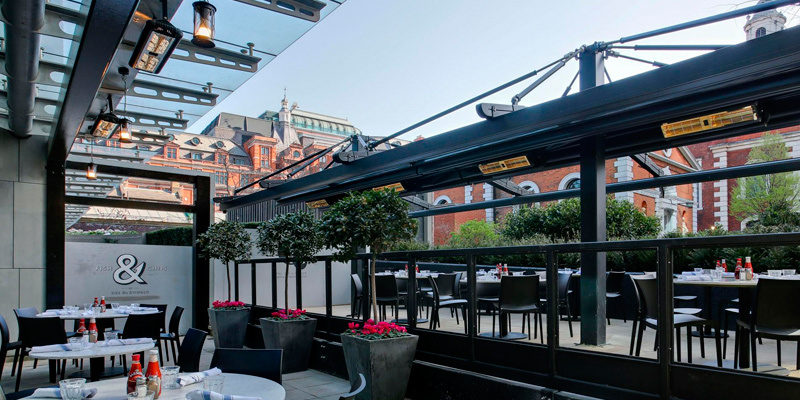 They can be placed outdoors or in industrial environments without risk of damage. All this without affecting their discreet and elegant design. They are also adaptable to all types of supports and can be hung from the ceiling, a structure or standing support. Our R & D department, always in the constant pursuit of excellence, has been working on a new design. The new, low-gloss heater emits up to 50% less red light. Ideal for those places that look for a relaxed atmosphere or where the characteristics of the illumination advise it. We are very concerned about maintaining the quality of our products, without comparison between similar products, both for their design and for the quality of their elements. That’s why we only use filaments from leading brands in lighting. 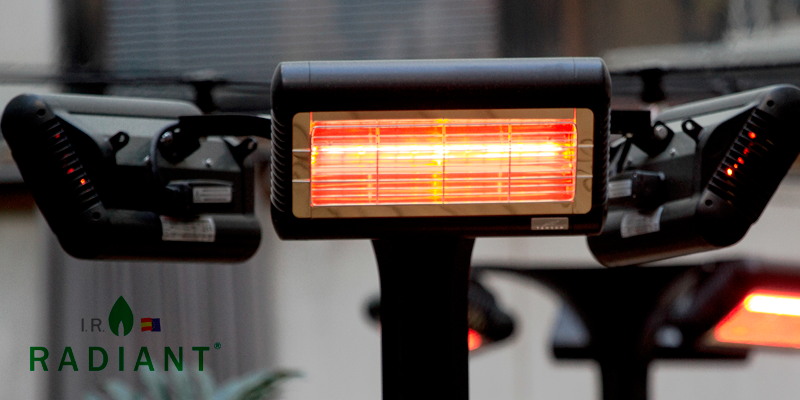 In IR Radiant Shortwave Infrared Heating we have a wide range of outdoor heaters. With them, we can solve the most common problems in heating open spaces. 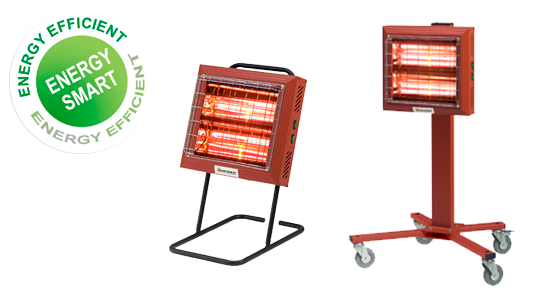 Safe, robust, powerful and highly efficient, with our heaters you will be able to condition the most complicated spaces. Without hardly occupying any space, and with a discreet and elegant design, you will be able to integrate them perfectly with the decoration of any environment. 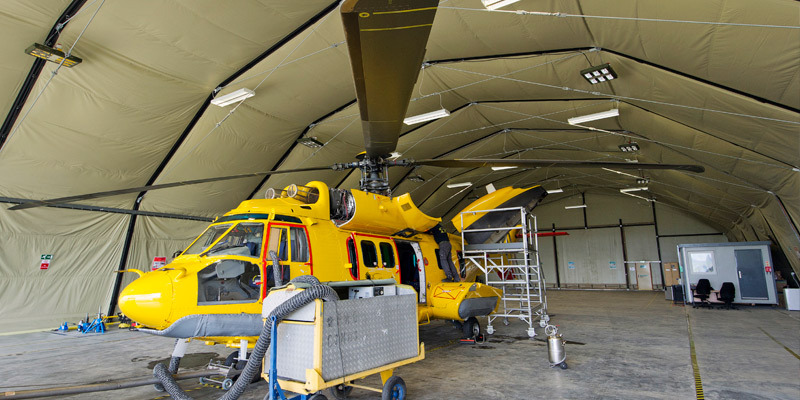 The heaters of the Outdoor range can be adapted to any type of support easily. 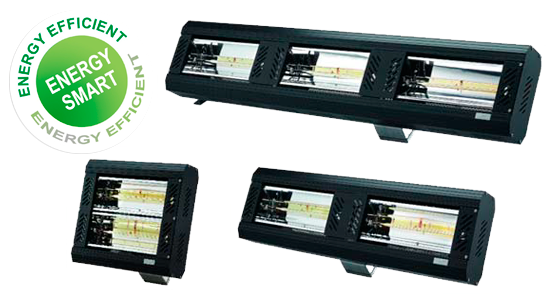 Their IP 5.5 makes it possible to be placed outdoors, and require little installation. Plug in and Ready! 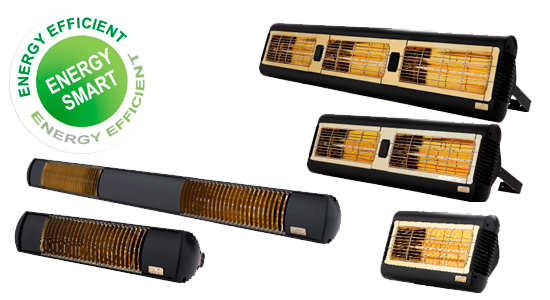 Our R & D department has developed the Ambient range of low-brightness infrared heaters in response to the need to heat spaces with special characteristics, where the reddish glow emitted by these types of lamps could be annoying or interfere with the decor. The incorporation of gold reflectors in the equipment that tints and reduces reflections in up to 50% less light makes our heaters the least luminous in the market, without losing any of the rest of the properties that make our products the most competitive in the national market. Ambient heaters can integrate perfectly in any style, and light is no longer a problem in spaces with delicate or artistic lighting. In this way, design and comfort go hand in hand under the protection of our technical department, attentive to the concerns and needs of our customers. The Industrial range is intended to complement the catalog options with heaters specially designed to offer maximum performance in the most difficult conditions. Thus, with equipment that can reach up to 18 kW, this range allows us to heat enclosures of up to 10 m in height without losing heat power, which makes it ideal for ships, factories or hangars where other systems can not solve the problem. In addition, we have single-phase and three-phase equipment, and among the different series stands out a portable type, which is very useful in spaces where versatility is needed without losing power, for example, workshops, construction sites, or scenarios.